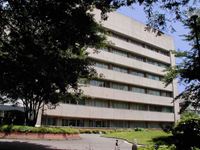 The National Institute of Neuroscience (NIN) is one of the research units in National Center of Neurology and Psychiatry (NCNP). The mission of NCNP is to conduct research and provide medical care for patients with brain or muscular disorders. As part of NCNP, NIN conducts biomedical research in three research buildings and two animal experimentation facilities. In NIN, there are seven departments for basic neuroscience research and seven departments for clinically oriented research, as well as administration sections for animal experimentation and radioisotope-assisted experiments. In the basic research departments, scientists are actively undertaking research by applying the methodology of molecular biology, molecular genetics, molecular physiology, immunology, morphology, biochemistry and developmental biology. Clinically oriented departments are engaged in research related to neurological diseases, muscular diseases, psychiatric diseases and developmental disorders. Collaborative studies with many domestic and foreign institutes are productively running and many researchers from different laboratories in Japan and around the world actively join NIN.